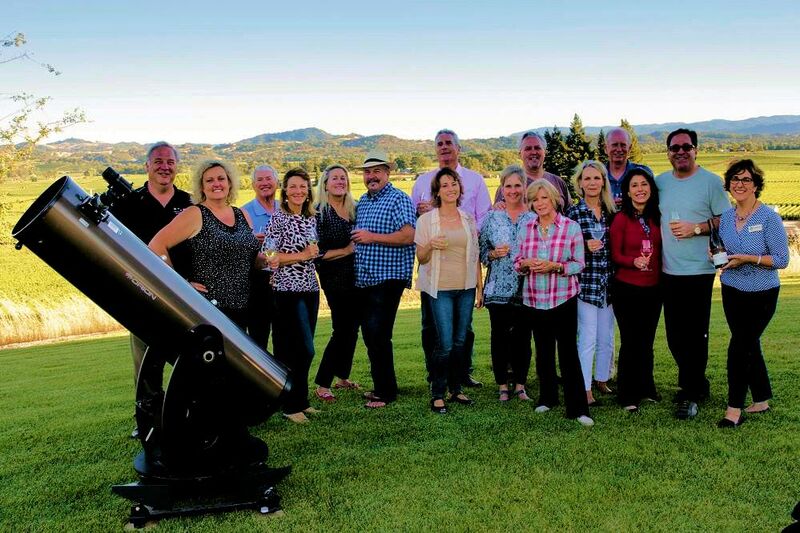 Wine Country Star Party frequently donates its Star Party services to select non-profits. We enjoy giving back and expanding our network. We benefit from the promotional exposure we receive in the process of donating. Through the years, we've gained experience with those to whom we've donated, and have developed the following outline to improve the results. We are interested only in donating Live Auction items. We are not willing to offer Silent Auction items for fundraising. When promoted prior to the event and during the actual auction, we wish the Star Party and our Company name to be promoted. We will also cross-promote your organization and event. We do not want to be lost in the background or presented as a secondary element of the item being auctioned. We require a minimum live auction bid of $750 (negotiable) for a donated star party. 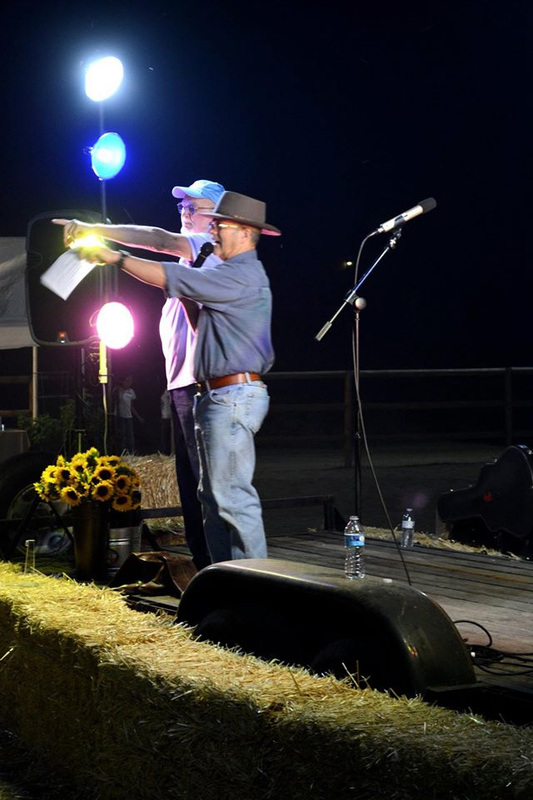 A lively auction and a good auctioneer often result in auction items being offered to the two highest bidders, thus doubling the auction proceeds. We are willing to consider this possibility on a case by case basis, only if the auction bidding exceeds $1500. We encourage you to consider having one of our telescopes on display during the fundraiser or on stage during the auction, if possible. We can also provide you with photographs to enhance the offer, showing people how special an experience a star party can be. Our donation is the Star Gazing experience. Additional hospitality such as food, drinks, or alcohol are the responsibility of the auction bidder or the organization doing the fundraising. We strongly encourage you as the fundraising organization to host the event. That means you are onsite to deal with parking, bathrooms, food, drinking, arrival and departure times and details. We are happy to donate our time. However, we incur costs at any event we attend. As we plan your event, we may propose a $150 minimum fee to cover our mileage and other business expenses. We are willing to work directly with the donor to schedule an event, but there are challenges in the process that need to be shared between us. For example, the best viewing is one week prior to and one week after the new moon. This limits our availability. Some nights are cold and your donors may not like those conditions. We may have conflicts with our normally scheduled customers. Flexibility is key. We prefer to have language in the agreement that limits our commitment to a Star Party to one year after the auction at a mutally agreeable date. We prefer to have the star party at our home in Freestone, or possibly go to the Lone Rock parking lot at Lake Sonoma. Some donors may want their Star Party to be in their yard or at another location near their home. This needs to be carefully considered since level ground and an open sky without neighboring lights is best. Also, if we are required to load and unload a great distance from the actual viewing area, we may insist on the Freestone location as we have many heavy pieces of equipment. Unless otherwise agreed, the number of participants should not exceed 12. Quit often we are asked to bump up the number of people in the Star Party from an original number. This is generally fine, but we need to review each such request carefully. Star Parties donated to live auctions are presented with one telescope - our largest. Wine Country Star Party does not serve or sell alcoholic beverages. If alcohol is to be a part of the Star Party, it is mandatory for you to provide a host and assume liquor liability. Alcohol and Astronomy can be a challenging mixture. Eyesight is worsened if the stargazer is intoxicated, and our equipment is delicate. We often stand on ladders while viewing through eyepieces of our telescopes. And of course, we operate in the dark at remote locations. We have several tables and chairs, but we will need assistance from you to provide additional tables and chairs if the Star Party is large so all guests are comfortable. We need help from a host if the participants are carrying plates with food or glasses with beverages since our optics and equipment don't mix well with spills. We are happy to reschedule if the weather turns bad.